This writing activity is differentiated to meet the needs of all learners in your classroom. 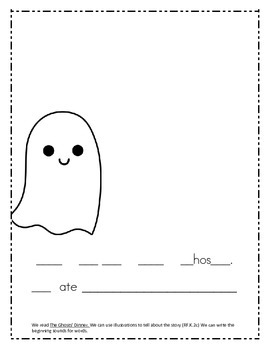 After reading the book The Ghosts' Dinner, students can use sight words and inventive spelling to write a sentence. For students Below target: they can trace sight words and add beginning sounds to complete the sentences. On Target: fill in missing sight words and use inventive spelling to complete the sentences. 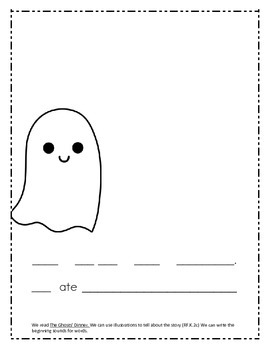 Above Target: can write the sentences with only "ate" given to them. All groups can then use illustrations to tell the story.